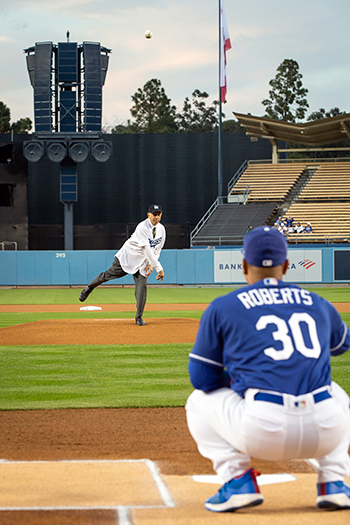 LOS ANGELES – UCLA Health is now the Official Medical Partner of the Los Angeles Dodgers as part of a multi-year partnership. 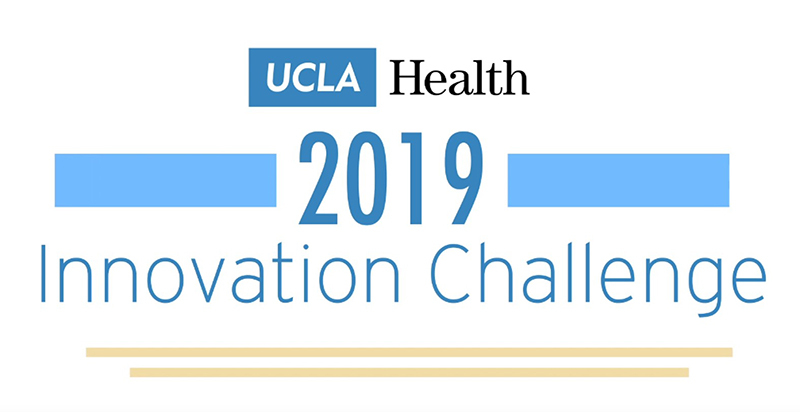 For more than 60 years, UCLA Health has provided the best patient care and new research discoveries to improve community health. Now UCLA Health, ranked the No. 1 health system in Los Angeles by U.S. News & World Report, will share its medical expertise with the Dodgers as the club’s Official Medical Provider. Starting March 26, health care professionals from UCLA Health will be on hand at the Dodger Stadium first aid station as a resource for fans. 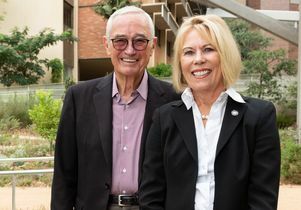 Starting in 2020, UCLA Health physicians also will provide care to players during home games and handle the team’s annual physicals during spring training. UCLA Health also will partner with the Dodgers on services that benefit the community. The UCLA Health Mobile Eye Clinic, which has been providing free eye care services and glasses for underserved communities in Los Angeles County, will be co-branded with the Dodger logo and appear at the Los Angeles Dodgers Foundation’s Dodgers RBI (Reviving Baseball in Inner Cities) community events and select Dodger home games. The Dodgers recently had nearly 20 players visit with patients at Ronald Reagan UCLA Medical Center and UCLA Mattel Children’s Hospital during the club’s 2019 Dodgers Love LA Community Tour, continuing a tradition of players visiting UCLA Health patients and hosting them at Dodger Stadium. UCLA and the Dodgers have a shared history that includes star players like Jackie Robinson, Eric Karros, Chase Utley and current Dodger manager Dave Roberts suiting up for both storied baseball institutions. Additionally, the Dodgers host the UCLA baseball team annually for a game at the Dodger Stadium College Baseball Classic. 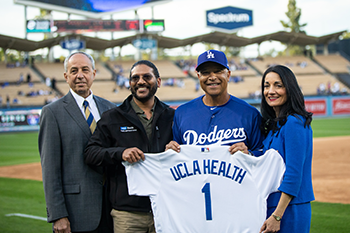 Photos of tonight’s partnership announcement, including Vice Chancellor of UCLA Health Sciences and CEO of UCLA Health Dr. John Mazziotta’s ceremonial first pitch, are available here. 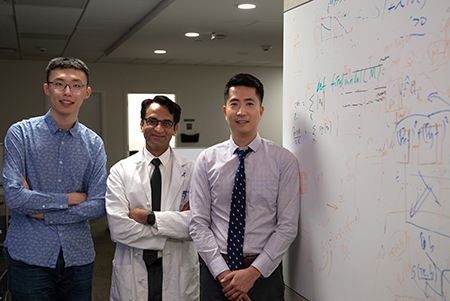 UCLA Health is among the world’s most comprehensive academic health systems, with a mission to provide state-of-the-art patient care, train top medical professionals and support pioneering research and discovery. 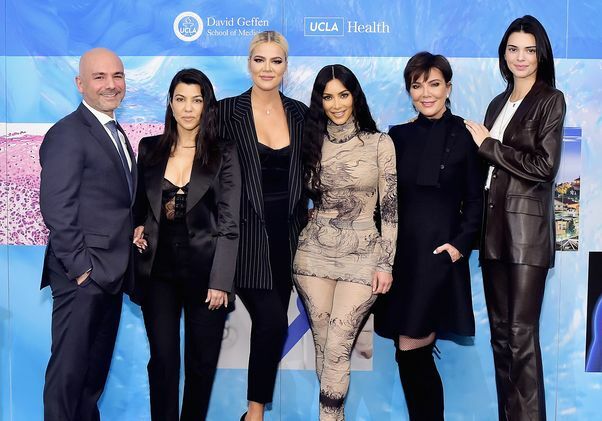 UCLA Health includes four hospitals on two campuses — Ronald Reagan UCLA Medical Center; UCLA Medical Center, Santa Monica; UCLA Mattel Children’s Hospital, and the Stewart and Lynda Resnick Neuropsychiatric Hospital at UCLA – as well as the David Geffen School of Medicine at UCLA. 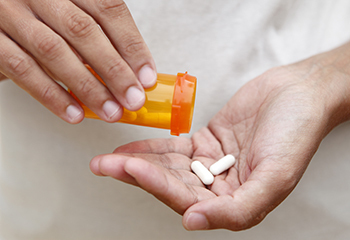 UCLA Health also offers an array of primary and specialty services at more than 170 clinics throughout Southern California. The Los Angeles Dodgers franchise, with six World Series championships and 23 National League pennants since its beginnings in Brooklyn in 1890, is committed to a tradition of pride and excellence. The Dodgers are dedicated to supporting a culture of winning baseball, providing a first-class, fan-friendly experience at Dodger Stadium, and building a strong partnership with the community. With the highest cumulative fan attendance in Major League Baseball history, and a record of breaking barriers, the Dodgers are one of the most cherished sports franchises in the world. Visit the Dodgers online, follow them on Twitter @Dodgers and like them on Facebook. For media information, visit www.dodgerspressbox.com.